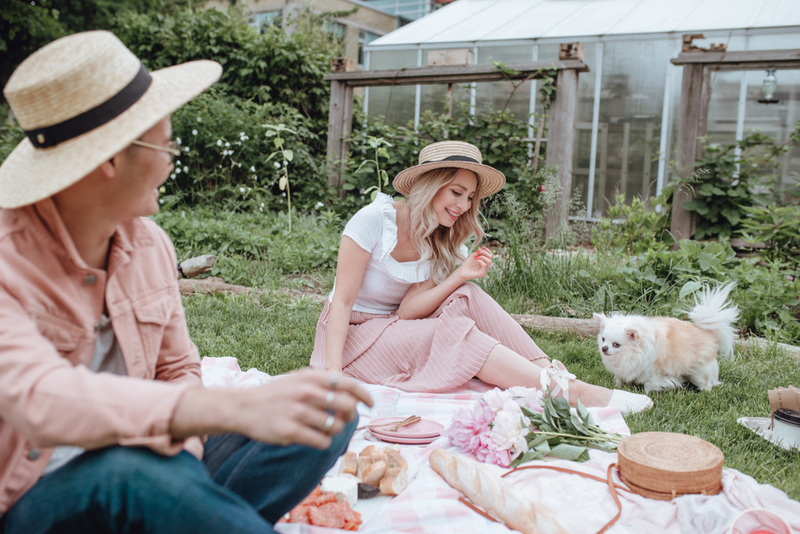 Chic Summer Picnic with Boursin | La Petite Noob | A Toronto-Based Fashion and Lifestyle Blog. Now that the weather is finally starting to warm up, we know that summer is just on the horizon and with that comes picnics in the park. 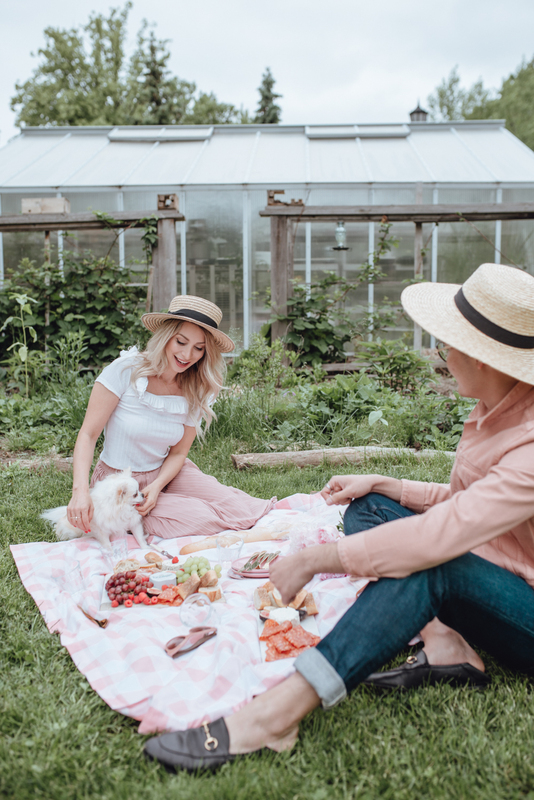 One of my favourite summer activities is eating outdoors, and there's nothing better then a picnic with friends to kick off the warm season. 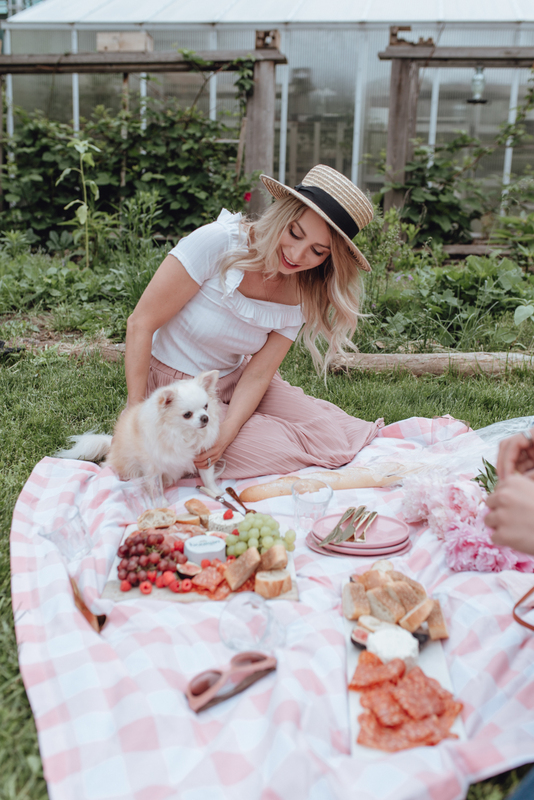 Earlier this week, I had the pleasure of grabbing some of my closest friends, packing some delicious food and heading to Trinity Bellwoods Park in Toronto for a fun afternoon picnic. The theme: summer - and of course, Boursin. You guys know how much I love Boursin cheese from my post during the holidays season where I talked about crafting a cheese board. The creamy texture and delicious flavours are always a crowd pleaser, and when you're planning a lunch for multiple people, you want to make sure Boursin is included. Boursin cheese produced locally and made from 100% Canadian milk. The texture is smooth and creamy, while still remaining crumbly and extremely spreadable. Boursin cheese comes in variety of different flavours to satisfy any palette; for this particular picnic, I decided to go with Bouquet of Basil and Chive, Garlic and Fine Herbs and Shallot and Chive. I felt that all three flavours perfectly complimented the mix of savoury and sweet ingredients that I chose to include in my picnic. If you're hosting the picnic, a cheese tray is a great option for the menu. Not only are there a variety of flavours and textures for all of the invited guests, but it also brings a more casual and relaxed vibe to the whole affair. My cheese plate featuring Boursin cheese was enjoyed by all of my guests, and we had a great time just leisurely munching over great conversation. No need to feel pressured to eat all at once, or to keep any of the ingredients warm. Opt to bring your own plates, cutlery and picnic blankets from home rather than using anything disposable. Not only will this small decision elevate your guest's experience, but it's also much better for the environment. Once everything is done, all of your materials can be easily gathered up back in your picnic basket, and washed at home - ready to be used again for your next chic picnic! Consider visiting one of the great summer farmer's markets for ingredients. Not only will you find the best produce, but farmer's market produce tends to come with less packaging it's also better for the environment to shop local. 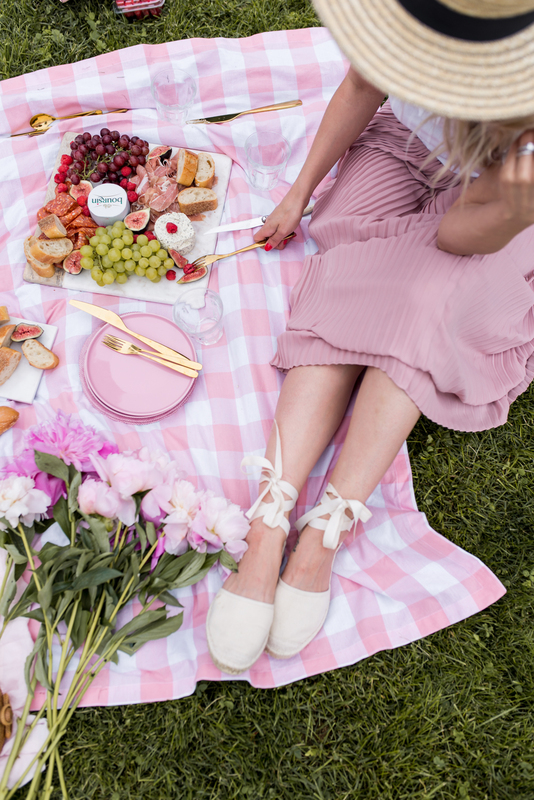 Before you know it, hours has flown by and we had all finished every last bite of the chic picnic and Boursin cheese. 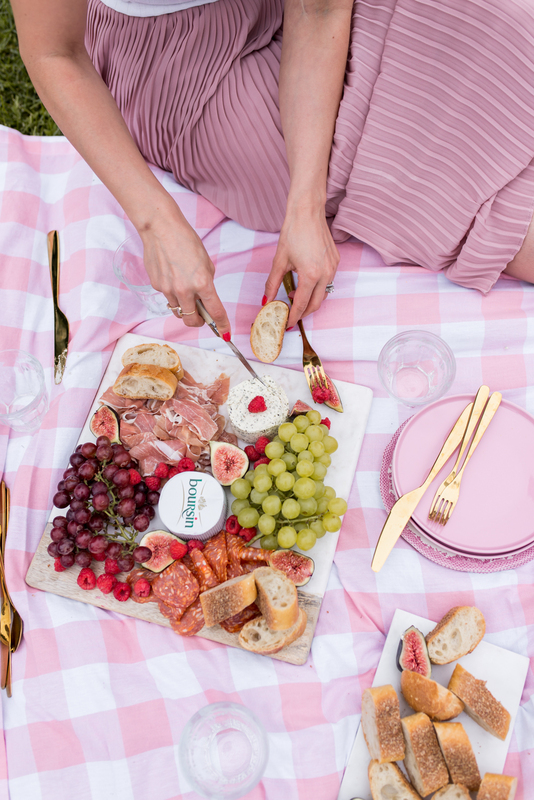 If you're looking to get into the spirit of summer, I would highly suggest throwing your own chic picnic as well - just don't forget the Boursin! What do you guys think? 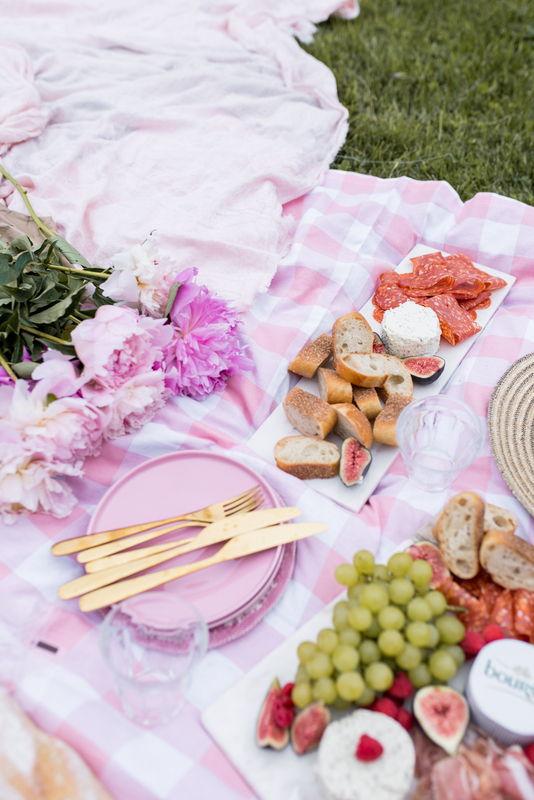 Is having a chic picnic in the park with friends on your summer bucket list? What do you do to elevate your picnics? Let me know! This post was created in partnership with Boursin. All thoughts and opinions are 100% my own. 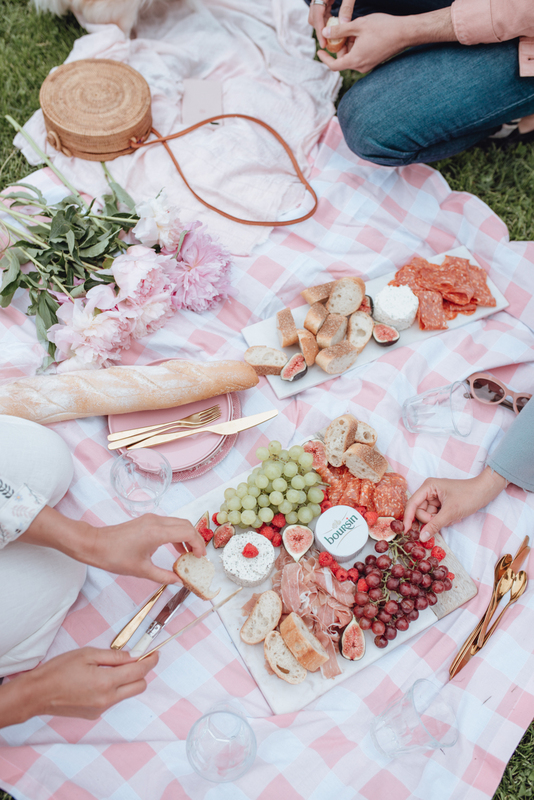 I love this picnic spread! So cute!